Last minute shopping? Give a gift card! Now through January 1, 2018 at 3:00am PST, receive automatic free shipping on all orders with the purchase of one (1) or more Aerie® bras or one (1) or more AEO® or Aerie swim item, and free returns on Aerie bras and AEO or Aerie swim item. We will include a free return label in your shipped package. 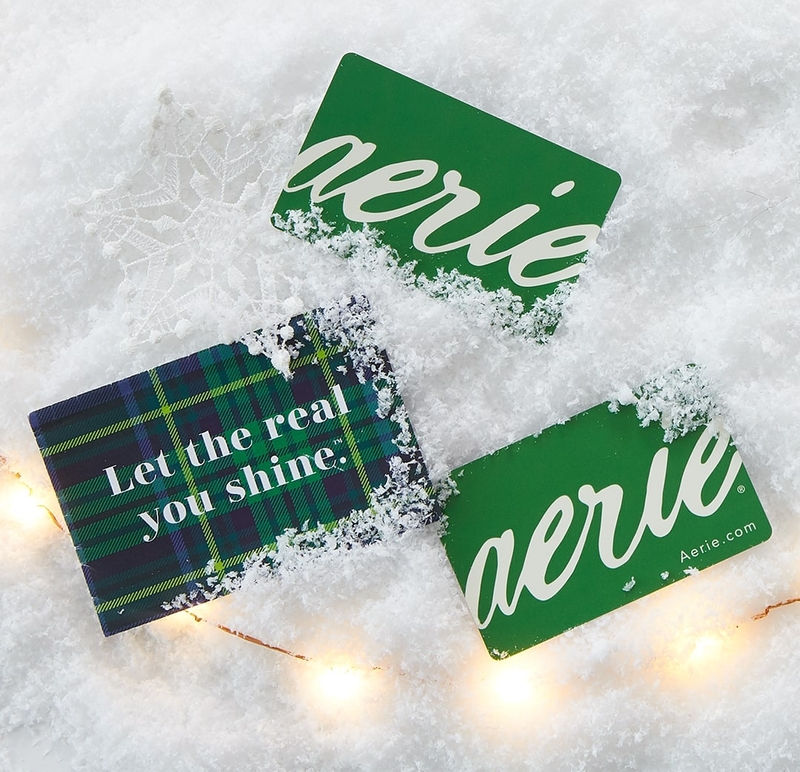 Offer not valid on AEO or Aerie Clearance merchandise. Offer is valid on orders shipping to U.S. & Canadian addresses only. Offer not valid on international orders. This offer is good for U.S. standard shipping within 3 to 7 business days pending credit approval and authorization. Orders to Canadian addresses will be shipped via Canada post within 6 to 10 business days to urban areas and 15 to 22 business days to rural areas. Shopping bag must contain at least one (1) Aerie bra and/or one (1) AEO or Aerie® Swimwear to qualify for free shipping. This free shipping offer can be combined with other discount offers. No discount code is required at the aerie.com shopping bag. Not applicable toward previously purchased merchandise. All deliveries are pending credit approval and merchandise availability. Deliveries may be delayed due to carrier issues or weather conditions. Free shipping promotion and associated terms & conditions subject to change at AEO's sole discretion.